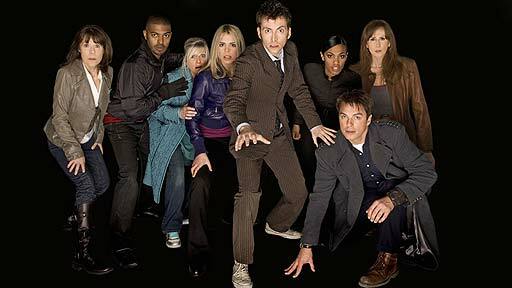 I wouldnÃƒÂ¢Ã¢â€šÂ¬Ã¢â€žÂ¢t normally blog about a TV show, but its Doctor Who. I bloody well love Doctor Who if you didnÃƒÂ¢Ã¢â€šÂ¬Ã¢â€žÂ¢t already know. I don’t want to put any spoilers into this bit. I just have to say, best episode ever everrrrr. And if someone could find a way to send me a nekkid Tennant clone, it would be much appreciated and already has a spare room. edit: I really had to put this in as well, because it irritated me – and I saw the episode! Do not read this article at BBC News – in fact, do not read the Entertainment news page until you have seen “Journey’s End”. It basically gives away a main plot point in the headline, and manages to fit the whole episode into three paragraphs. Boo BBC, BOO. @alicecharlotte – Because he is mine mine mine. Although I am willing to give you the spare one.